Serena Williams failed to make history after losing the US Open final to Naomi Osaka on Saturday. Williams was unable to set a new US Open championship record, as she is tied with the record at 22. The match itself did not grab headlines, what happened between Williams and the umpire, along with her comments afterwards turned heads. Williams’ coach Patrick Mouratoglou was giving her signals which umpire Carlos Ramos noticed. Mouratoglou later admitted that signalling Serena to attack the net more. 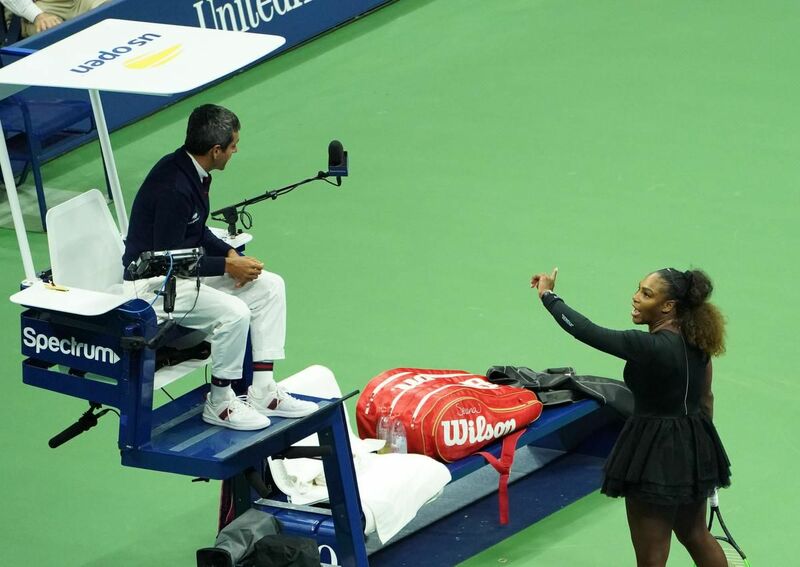 Ramos gave Williams a violation for the signals that Mouratoglou was giving to her. A second code violation was broken when Williams broke her racket when Osaka went on a run, resulting in a point penalty. Williams, visibly frustrated then called umpire Ramos a liar and a cheat. Ramos then gave the third and final code violation which was verbal abuse, giving another point penalty to Williams. Naomi Osaka went on to claim her first US Open title. After the match, Serena Williams made some remarks that raised questions about the way Ramos handled the interactions between the two, but were incorrect. Williams claimed that his decisions were sexist. “I’ve seen other men call other umpires several things and I’m here fighting for women’s rights and women’s equality. And for him to take a game? It made me feel like it was a sexist remark.” Male tennis players had been given equal consequences in past tennis tournaments. Fabio Fognini called a female umpire inappropriate names in October 2017, which saw him banned from two consecutive Grand Slams. In 1990, John McEnroe was defaulted from the Australian Open due to consecutive code violations. People can understand where Williams was coming from because of the events that took place, although some might say she exaggerated a little. Carlos Ramos could have undoubtedly handled the situation better. All Williams was doing in the post-match interview was speaking her mind, being fined $17,000 might have been too much. All successful athletes are bound to lose important matches during their careers, this final would be one that Serena Williams would never forget, for all the wrong reasons. Featured image from Kena Betancur.